Any book you peruse or newspaper you casually toss out owes its existence to Johannes Gutenburg’s original printing press, which revolutionized the transfer of information and led Europe out of the Dark Ages. As time went on, printing advanced from the second dimension to the third, and now 3D printing is a topic of interest due to its increased accessibility. At UC San Diego, students can reserve a 3D printer at Geisel Library, a convenience that has led to a variety of projects such as making models of hearts to replicating ancient Mayan artifacts. While students experiment with 3D printing at the library, Dr. Shaochen Chen, a professor in the Bioengineering and Nanoengineering Departments, works down the road in the Structural Materials Engineering Building, where he develops and perfects new methods to print a functioning liver. 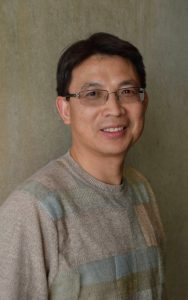 In Dr. Chen’s highly interdisciplinary lab, his team of biologists, engineers, and chemists tests different nanomaterials and methods of nanomanufacturing to find the best method of constructing cellular scaffolds that hold cells to create tissue. The 3D printers, no larger than carry-on suitcases, have exposed components, allowing Chen and other lab members to tinker with them easily and change the parts. One 3D printer Dr. Chen uses implements a form of light printing called stereolithography, where 3D objects are created layer by layer continuously with a polymer that is hardened by short bursts of UV or visible light in mere seconds. 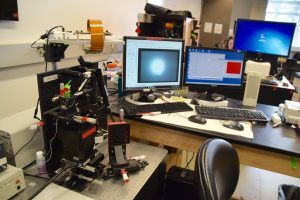 While engineers focus on the construction of the printer, biologists and chemists work to find biomaterials and analyze biological functions. Currently, they are using biodegradable polymers which mimic the human body and interact with stem cells. These polymers also disintegrate over time, eliminating the need for unnecessary invasive surgery in the case of implant removal. Along with decellularized materials, which are the natural scaffolding materials in the body that support cells structurally and biochemically, the biodegradable polymers are used as the building blocks to create the cellular scaffolds. Creating an accurate liver model is incredibly difficult given the liver’s complex structure. On the gross anatomy scale, the liver is divided into four lobes. Each lobe is made up of hepatic lobules, which are small divisions of tissue that are responsible for key functions, such as secreting bile, turning glucose into glycogen, and creating blood-clotting factors. Currently in the market, tissue printing is done through a long process of pipetting a single cell one-by-one on top of each other to make a layer of tissue. However, Dr. Chen’s rapid 3D printers use a different technique, where a mixture of biomaterials and liver cells are exposed to UV or visible light and are hardened into a scaffold in mere seconds. After the scaffold is made, it is inundated with human liver cells that are made from induced pluripotent stem cells, which are stem cells derived from adult cells (as opposed to embryonic cells). These human cells along with other supporting cells in the scaffold complete the human liver tissue. One important feature of Dr. Chen’s scaffolds is its ability to expand when stretched, much like an organ would when it expands and contracts. This quality comes from its unique characteristic of having a negative Poisson’s ratio, which is a measure of how much a substance contracts when it is stretched. Much like a rubber band would become thinner as it gets stretched, most materials have a positive Poisson’s ratio. However, through altering the geometry of the scaffold into a tessellation (a repeated tiling pattern) of “reentrant honeycombs,” which look like hourglasses, Dr. Chen was able to create a material that expands as it is stretched. Another key component of the scaffolds is its mixture of synthetic and natural materials. These substances include hyaluronic acid (HA), poly(ethylene glycol) diacrylate (PEGDA), gelatin methacrylate (GelMA), and decellularized materials from different organ tissues. These materials are light printable and can be altered with great precision by the 3D printers, making them key to personalized medicine. For example, one could potentially take pre-existing tissue and use decellularization to create the building blocks for a scaffold that the body would not reject. 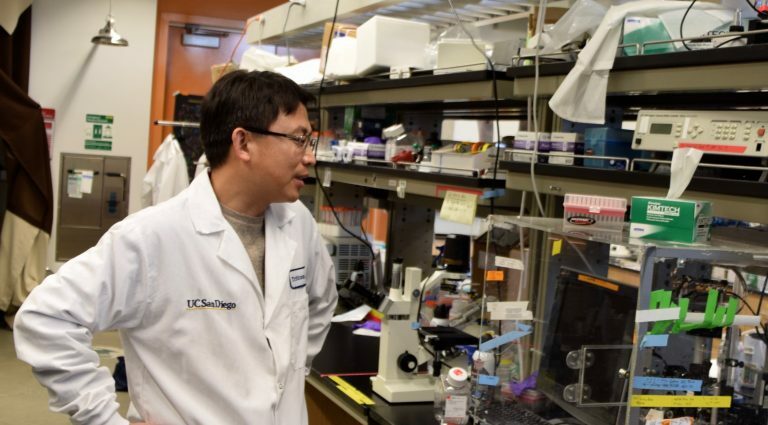 Dr. Chen plans to apply his research towards personalized medicine in tissue regeneration from organ damage caused by congenital diseases, infections, and even cancer. While the future of creating actual human organs for transplant is far away, his research is making waves in the drug-testing industry by creating more realistic models of organs with greater accuracy and precision than the traditional 3D printer. Dr. Chen and his team are revolutionizing the way 3D printing can be used towards organ printing and personalized medicine, placing him at the vanguard of biotechnology.